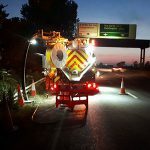 We are a long established, family run, specialist drainage services company who can help with any drainage problems you are likely to encounter. Established in 1979, ACD Services has a long-held reputation for high standards, quality workmanship and the know-how to solve the toughest of problems where others have failed. The company is committed to giving its customers a first-class service, 24 hours a day, 365 days of the year. ACD Services tackles a wide range of tasks, big and small, ranging from domestic drainage solutions to major treatment-unit installations. We are based in Essex and serve the surrounding region including London.